A CAR is sitting in a ditch at the Wessells Rd intersection in Bargara after the driver failed to negotiate a turn and drove off the road. A police spokesman confirmed a 17-year-old boy, who was on his P-plates, was driving the car when he failed to turn onto Wessells Rd from Seaview Rd around 2.49am. Witnesses reported that there were large tyre marks on the road and a crack in the front windscreen on the passenger side. Another 17-year-old boy was in the passenger seat of the vehicle and was injured during the incident. An ambulance spokesman said he had received injuries to his hand and his face. 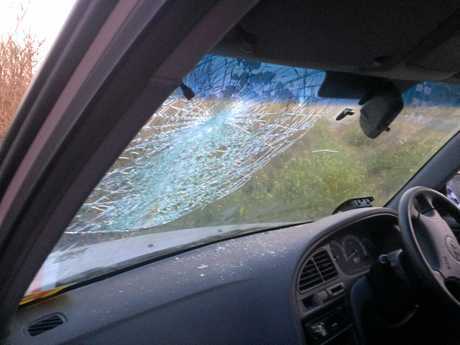 It is believed the boy hit his head on the front windscreen of the car causing the glass to crack. Witnesses described how a blood-like substance is on the outside of the car, which still remains in the ditch this morning. 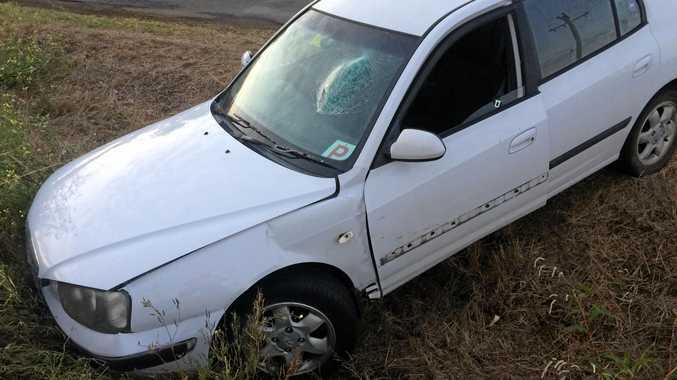 Police are investigating reports two teenage girls may have been in the back of the vehicle but were believed to have fled the scene before emergency crews arrived.